2. 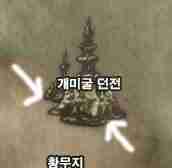 Once you find Hamil, he will tell you to go to the Wasteland's south entrance area to find Sir Aaron Tanpod. 3. If you talk to Sir Tanpod, he will say that Brankel went to the Wasteland's Ant Caves and he has lost contact with him. He asks you to go to the And Caves and see what happened. That's what he says, but actually it means you have to go hunt ants. [Any ant in the caves should do.] When you have collected 10 of the quest item First Hunter's Rune, return to Hamil (not Tanpod). 4. 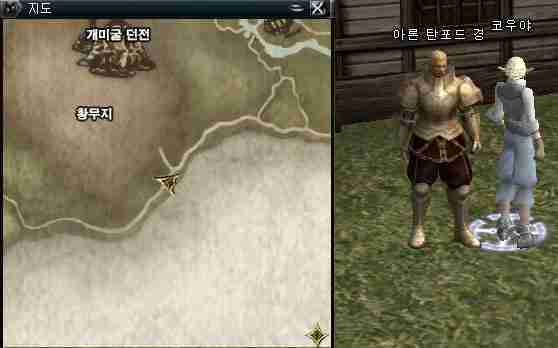 After going back to talk to Hamil, he will tell you to find Orc Prefect Vokiyan in Giran Castle Town. Vokiyan will tell you to go kill Breka Orcs [any in the series should be fine.] You need to collect a Snake-shaped Charm. If you kill the Breka Orc Warlord and Shaman, you will get the quest item Second Hunter's Rune. They do not give the above-mentioned snake-shaped charm. HOWEVER, don't leave. Once you collect 10 of the runes, you will get the snake-shaped charm. So take the charm to Vokiyan. 5. To interpret the runes, Vokiyan will send you to Hamil. When you go to Hamil again, he will be surprised that the Demon Kadesh has been revived. But first he makes you go to the Ivory Tower in oren. On the 3rd floor of the Ivory Tower you can find Magister Gauen. He will make you collect ingredients to build the New Moon's Bow mentioned by Hamil. Spawn area of Leto Lizardmen below Oren and to the west of Hunter's Village. 10. 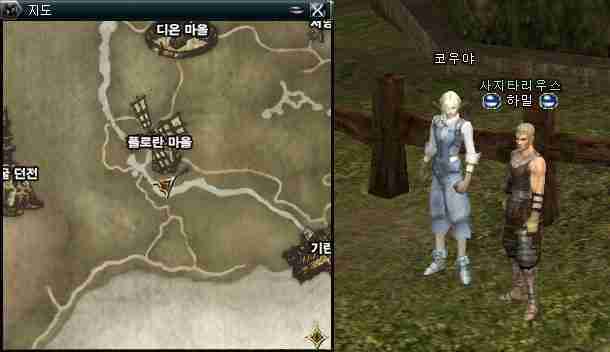 Once you kill him you can return to Hamil and he will give you the quest item Sagittarius' Voucher. You will also get about 28,000 experience and 3600 SP [these numbers may no longer be accurate]. Congratulations, you have completed all three quests now!